Santa Rosa Beach Award Winning Architect 5X Best of Houzz! Architecture, Interior, Landscape, Furniture Design Todd Davis and Rob Brown joined their shared passion for classic architecture, discerning environments, and extraordinary craftsmanship to create Brown Davis Interiors, Inc. in 1994. Brown Davis has designed two residences for President and Secretary of State Clinton, The British Embassy residence and an array of exceptional projects involving modern architectural design and historic renovations. 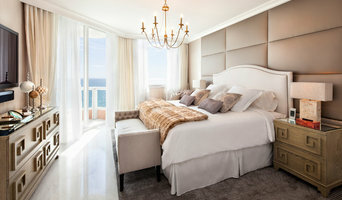 Brown Davis is based at the iconic 1111 Lincoln Road complex on Miami Beach, Florida. The saturated hues, tropical landscape and design mecca of Miami have influenced a bold aesthetic that resists conformity. It is instead a uniquely American perspective, fusing the traditional roots of classicism, with an international, modern, sensual vitality. 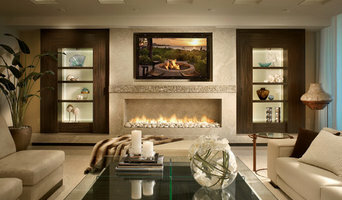 Brown Davis offers Architecture, Interior, Landscape, Furniture and home goods design. All elements are designed in unison with a strong attention to local building codes and construction details. Their projects have no geographic boundries. Creative and bespoke architecture is the foundation of each project whether it’s modern, transitional or traditional. The Brown Davis architectural team trains their exacting eye on the technical and design challenges of each project to ensure proper proportions, details, materials and an efficient build process. Rob Brown, a gifted designer and colorist, creates custom palettes that harmonize and balance transitions among eclectic furnishings. Comfort is an indispensable priority. Texture, light and pattern are orchestrated for enduring warmth and harmony. “Brown Davis Exclusively for Keith Fritz Fine Furniture” offers Brown Davis furnishings in showrooms throughout the United States. The line is made in America. Of specific note is the original and novel use of colored woods as well as the bold and unique designs. Brown Davis has received awards including Architectural Digest Top 100, Luxe Gold List and Ocean Home Top 50 Interior Designers. Both partners have MBAs contributing to their refined project management, and fiscal responsibility. Coupled with design intelligence, Brown Davis has earned their most cherished honor: Trust. 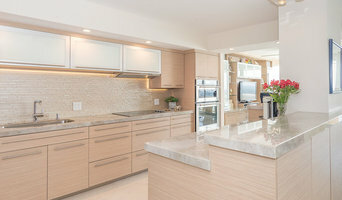 Flip Flop Cabinet and Tile Creations, inc.
Barbara Fina, Allied ASID works one-on-one with clients to create environments that closely respond to their tastes and lifestyle. From the spare to the rare she brings a true love of all great design to the relationship whether modern or traditional. Her strength is in listening and translating your dreams into selections that work harmoniously into great rooms. Together we'll create the right mix. She knows when less is more and when more is more. There are no pat design solutions. Everything will stem from your goals and preferences. Every space suggests different solutions. What makes each project exciting is that the design unfolds as a result of your unique space and needs. She understands kids, dogs, collections and what it means to run a home. Everyone needs a quiet place to unwind. Everyone wants an inspired place to gather with those we love. Even a formal setting should offer comfort. With an eye toward creating continuity throughout your project, each room should connect with the next. Since each room has a different purpose and architecture the continuity will never seem monotonous. Mixing modern pieces in with traditional selections gives the room a wonderful energy. A comfortable room does not need to be a predictable room. Her ease in addressing issues such as room flow, organization, light management, entertaining, comfort, scheduling and appropriate fabric and material selection make for a thorough approach that distinguishes a room full of furniture from a room that delights the eye and soul. At every budget you'll find that Fina Design will provide immeasurable value. Barbara's experience and meticulous planning avoid costly missteps. By buying through trade resources we can save you money and provide a wealth of choices unavailable to the retail market. She's confident, yet methodical, careful to entertain whimsy when the opportunity arises. Rooms should unfold with delight, embracing their purpose but engaging your senses. From the practical to the sublime she'll find that perfect balance. 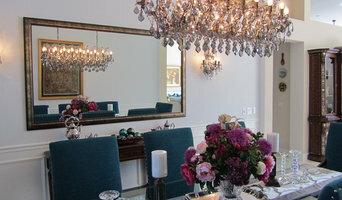 With over 20 years of design experience, Catherine Caporaso has earned her reputation as an esteemed professional in high-end interior design. Demonstrating an ability to create inspirational design concepts with passion and a deep understanding of the industry, Catherine's extensive knowledge of interior design and affinity for architectural detail has kept her on the leading edge of style throughout her career. Catherine has designed concepts internationally for a wide range of clients, introducing current trends that are bold yet balanced, while also maintaining an acute ability to incorporate inspiration from the client as well as from her impressive experience, assuring lasting results. Catherine Caporaso has been part of the professional design team at Brown’s Interior for over a decade. “Wow” is right! Her projects successfully introduce and intermingle style and harmony into any space, while creating an interior design concept specifically suited to the needs of her clients. Catherine’s ability to predict her concepts and bring them together in a timely, cost effective manner has led her to the forefront of the design industry and has rendered her an invaluable asset to the Brown’s Interior Design team. All furnishings are installed in one day delivery, dramatically transforming your house to the "home of your dreams". Known for her thoughtful and refined approach in expressing the client's needs and wishes, resulting in beautiful and striking interiors. As a member of IIDA, she is well versed in all aspects of design, including construction, remodeling, decoration and installation. Projects ranging from New York to Florida. Arnold Schulman Design Group is a full service interior design firm specializing in high-end residential and commercial projects. Located in Miami, Florida, we have the ability to coordinate and complete jobs all over the US. Principal designer Arnold Schulman brings over 38 years of experience to projects of all styles and environments. The firm’s success is attributed to the highest levels of customer satisfaction and professionalism. Clients from all over the country continuously return to the Arnold Schulman Design Group for subsequent projects, which we find to be the highest level of complement to our design management. Arnold is known in the industry as a designer truly works with every client to bring in their vision of what they want their home to represent. There is not a single "look" reproduced for each client, you truly will get a unique and personal design when you work with the Arnold Schulman Design Group. Unlike larger firms, Arnold is the sole and principal designer at the firm. You know when you hire the Arnold Schulman Design Group you will be working directly with Arnold himself through every step of your design project. As a Best of Houzz 2017 and 2018 Customer Service winner, Jodi Dascal will be unlike any decorator you have worked with before! She will bring style, function and CHARM to your home... no matter the budget!! Whether you need an hour for a quick consult or a year long project, Jodi will make the process easy and enjoyable! Jodi's expertise is in the farmhouse, vintage, cottage, shabby chic, beach or boho styles. Her goal is to add warmth and character to any space! If that's your style, then Jodi is the decorator for you! Call today! No Minimum costs required! Northeast Florida Custom Home Builder, Best of Houzz 2016 Winner! Richard Cortes is the owner and President of Richard Cortes, PA Architects since 1993 and RCPA BUILDERS, Inc. since 2004. He is a licensed architect and registered general contractor in Florida that's been in business for 23 years and has 28 years of experience. Not only is he LEED certified but he's also a certified Renovator.